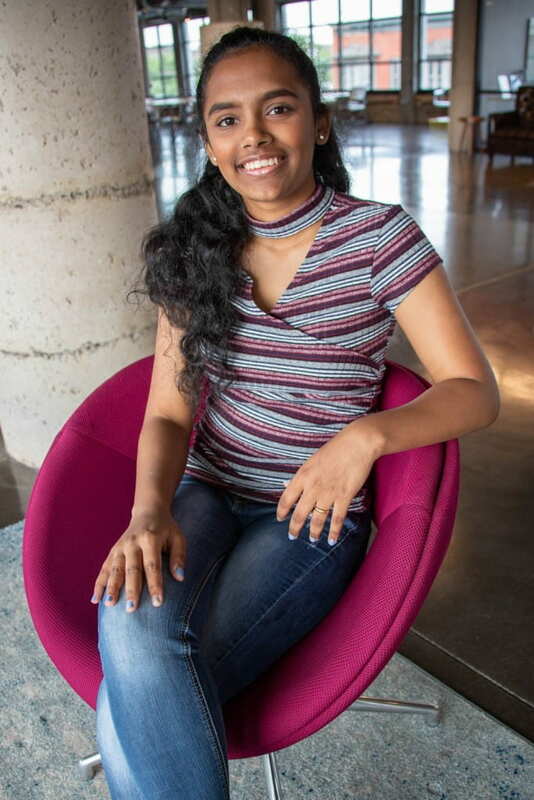 Tying the knot, walking down the aisle, saying “I do”… Whatever you call it, planning the big day is about to get a whole lot easier if UW-Green Bay Business Administration student Maria Arunkumar has something to say about it. The Singapore native and UW-Green Bay sophomore recently won her first business idea pitching competition — Light Up the Lakeshore in Two Rivers, August 2. The winning idea? A wedding planning app that walks couples who are planning a wedding through a step-by-step process to insure the perfect, within-budget, wedding. There are other apps designed for wedding planning, such as Pinterest or The Knot. But Arunkumar wanted to create something that allows couples to narrow down their options according to their preferences and budget. “I see wedding planning as an entire store, and our app is the optimal route from the entrance to the checkout counter,” she explains. “This ensures you don’t waste time roaming around and ending up with more than what you need.” One of her concerns with weddings is the cost, which for most people total up to exceedingly large numbers, and she wishes her app will reduce the cost of the party by eliminating unnecessary items or services. Originally, Arunkumar’s idea was a physical shop that focuses on personalizing weddings to make each couples’ story unique. However, she realized there lies an issue with scalability, and online stores and apps are taking over physical stores as more people prefer to do things online. “So I decided to pivot my idea to an app,” she says. 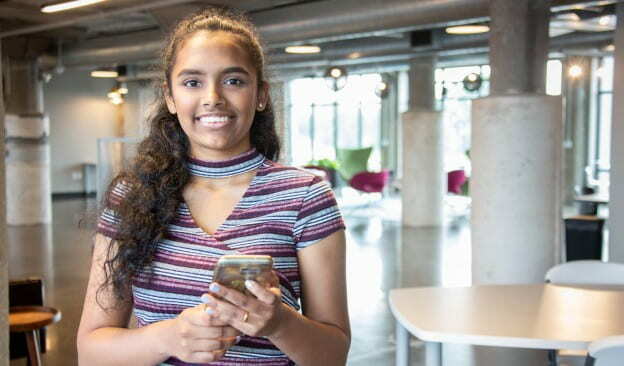 Her win landed her a cash prize, which she hopes to use for in-kind services to develop her app. Arunkumar admitted to some trepidation prior to the event, as she had seen some of her competitors in action. She wasn’t expecting a win, but rather some experience and feedback. “The victory was a huge green light for me,” she says, crediting UW-Green Bay entrepreneurial lecturer Ryan Kauth, for introducing her to the competition and supporting her “entrepreneurship endeavors.” Arunkumar also mentions her mentor and friend Markus Dumke, Executive Director at T2 Accelerator, who despite of his busy schedule, found time to help her refine her pitch. Pitch advisors, Jeffrey Sachse, Keith Lyons, Todd Nilson and Noel Wilson, gave her constructive feedback that shaped her idea into a prize-winning one. The business administration major hopes to start a wedding planning business with a group of friends after graduation with her job focus on designing events, but for now she wants to focus on her app. Next step is finding someone who can help her with mapping out features, and working on coding and UI/UX. In the meantime, she plans to work at Sash and Bow, a wedding planning company in Green Bay to get hands-on experience with wedding planning in hopes to gain insight on problems clients face and what goes into the process. Experience would get her connected with possible vendors for her app as well. “I hope to take that knowledge and incorporate it into the app to provide a more fun, quick and easy wedding planning experience,” she said. This entry was posted in Leading & Learning and tagged Business Administration, Cofrin School of Business, Entrepreneurship and Innovation on August 22, 2018 by Sue Bodilly.